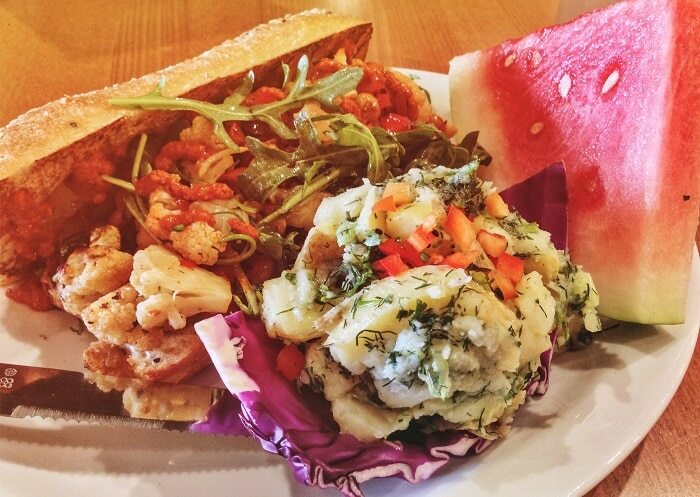 Inaugurated in 1994, Native Foods Cafe is a fast-casual restaurant chain that has risen to prominence thanks to its high-quality comfort vegan food. In order to further benefit its clientele, Native Foods established a delivery service that operates in various areas of the country. The following guide will go over everything you need to know about Native Foods Delivery. 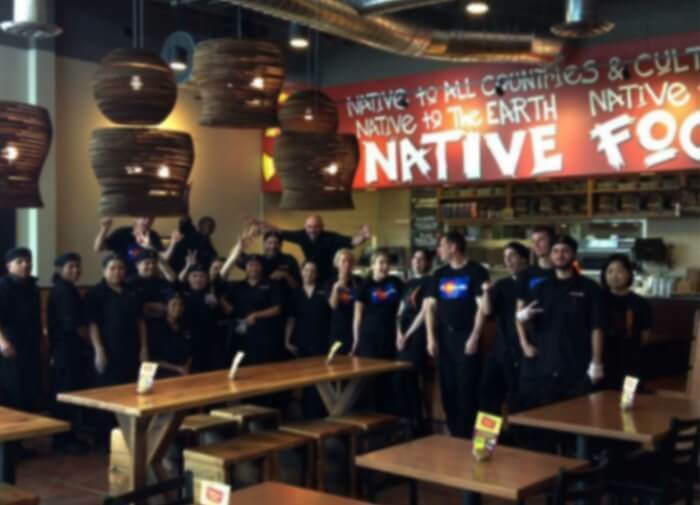 Native Foods‘ first outlet opened in Palm Springs, California. Soon after, new Native Foods outlets were being opened across the states of California, Oregon, Colorado, and Chicago. The owners, chef Tanya Petrofina and Co-Founder Ray White, sold a majority stake in the company to Andrea McGinty and Daniel Dolan in 2009. After deciding to move the company’s headquarters to Chicago in 2011, the couple played an important role in further expanding the reach of Native Foods Café. Their smart move was to open new franchises in the aforementioned states. By 2018, the company is expected to have over 200 outlets in the United States. Without a doubt, one of the biggest draws of Native Foods is its fresh and modern concept. Serving chef-created, organic, and healthy dishes that are completely made from scratch, the restaurant chain quickly became popular among vegans and non-vegans alike. In addition, it became recognized for their ethical, earth-friendly culinary practices and recipes. Serving unique dishes that are completely plant-based, Native Foods Café is the perfect place for conscious and demanding food enthusiasts. In order to further service its clientele, Native Foods has set up a delivery service that is incredibly convenient. Managed by the restaurant itself, Native Foods Delivery is a well-organized and efficient service that makes it possible for customers to enjoy the restaurant’s delicious dishes without leaving the comfort of their own homes. Westwood: 1114 Gayley Avenue, Los Angeles, CA. Between Gayley Avenue and Kinross Avenue. Costa Mesa: 2937 Bristol Street, Costa Mesa, CA. Located right in the middle of The Camp Eco-Friendly Oasis. Aliso Viejo: 26705 Aliso Creek Road, Aliso Viejo, CA. Located in the Aliso Town Center, near Edward’s Theaters. Clairemont Mesa: 5604 Balboa Avenue, San Diego, CA. The Clairmont Mesa franchise is located in the Genesee Plaza Shopping Center. Point Loma: 3369 Rosecrans Street, San Diego, CA. Situated across from Sprouts in Loma Square. This location has free parking. Encinitas: 127 North El Camino Real, Encinitas, CA. Located in Encinitas Village. This location features a free parking lot. Palm Springs: 1775 E. Palm Canyon Drive, Palm Springs, CA. Glendale: 680 South Colorado Blvd, Glendale, CO. This location offers its customers free underground parking. Bridgeport Village: 7237 SW Bridgeport Road, Tigard, OR. Located in the middle of the Bridgeport Village mall. Loop: 218 South Clark Street, Chicago, IL. Near the Harold Washington Library-State/Van Buren station. Wicker Park: 1484 North Milwaukee Avenue, Chicago, IL. Near the CTA Blue Line Damen stop, right in the middle of Wicker Park neighborhood. Hyde Park: 1518 East Harper Court, Chicago, IL. This outlet is situated within walking distance from the University of Chicago. Lakeview: 1023 West Belmont Av. Situated a block away from the CTA Red/Brown Line bus stop. Without a doubt, Native Foods Delivery is an efficient service that aims at satisfying the needs of customers as quickly as possible. With that in mind, the restaurant franchise has established a maximum delivery time of one hour for each order. Westwood: Monday-Sunday, 11:00 AM to 10:00 PM. Costa Mesa: Monday-Sunday, 11:00 AM to 10:00 PM. Aliso Viejo: Monday-Sunday, 11:00 AM to 10:00 PM. Clairemont Mesa: Monday-Sunday, 11:00 AM to 10:00 PM. Point Loma: Monday-Sunday, 11:00 AM to 10:00 PM. Encinitas: Monday-Sunday, 11:00 AM to 10:00 PM. Palm Springs: Monday-Sunday, 11:00 AM to 09:00 PM. Boulder: Monday-Thursday, 11:00 AM to 09:00 PM. Friday-Saturday, 11 AM to 10:00 PM. Sunday, 11:00 AM to 08:00 PM. Glendale: Monday-Sunday, 11:00 AM to 10:00 PM. Bridgeport Village: Monday-Sunday, 11:00 AM to 10:00 PM. Loop: Monday–Saturday, 10:30 AM to 9:00 PM. Sunday, 11:00 AM to 7:00 PM. Wicker Park: Monday-Sunday, 11:00 AM to 10:00 PM. Hyde Park: Monday–Sunday, 11:00 AM to 10:00 PM. Lakeview: Monday-Sunday, 11:00 AM to 10:00 PM. Luckily for its customers, Native Foods does not charge any fees for its delivery service. In order to give back to its most faithful customers, Native Foods has established a rewards program. It allows customers to accumulate points for each purchase. These points can be exchanged for discounts and other benefits. After going through this guide, you have probably become aware of the benefits provided by Native Foods Café’s delivery. Without a doubt, it’s a valuable service that allows you to enjoy quality vegan food wherever you are. Have you given this great service a try? If so, let us know in the comments! Hey Buddy!, I found this information for you: "Native Foods Delivery 101: Areas, Hours, Fees". Here is the website link: https://all2door.com/native-foods-delivery-areas-fees/. Thank you.